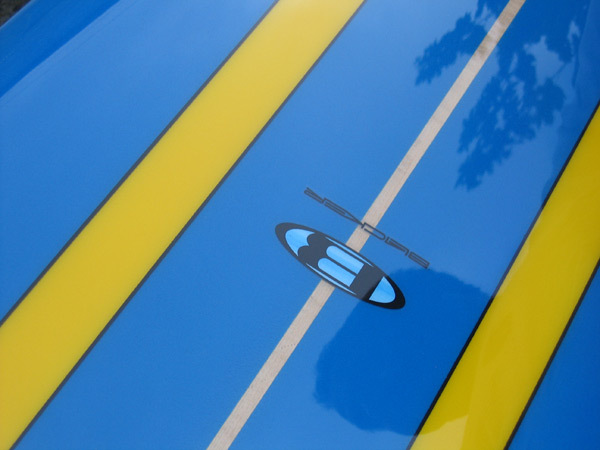 I design, shape and finish every single surfboard myself and have done for over 28 years now. With the experience and knowledge I have in the industry I can create you the perfect surfboard, whether you want a high performance shortboard, a cool retro fish or perhaps something longer built for those lovely summer days of gliding the hours away at your favourite local surf spot, all custom built for your enjoyment. Please call or visit me at the factory for a friendly chat about your requirements, or ideas on 01271 816986. A selection of boards from recent times. San Onofre : 10'2" - 10' 6"
Catch a ripple on this one. Great for the big heavy surfer. Volan or tints, or your colour choice. 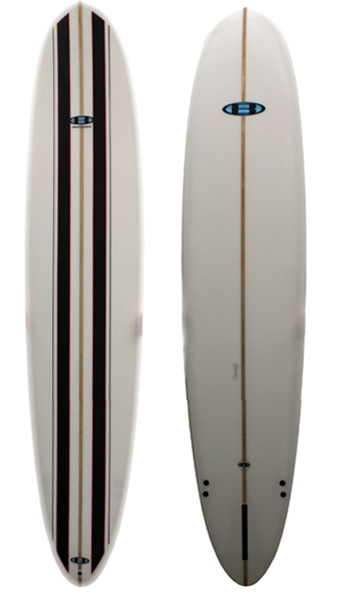 Rincon Stylist : 9' 6" - 9' 8" 3 1/4"
The same as the Rincon model, but with slightly wider pintail, rails slightly thinner and punched. Pinlines, Tints, Cigar Band, whatever you want! 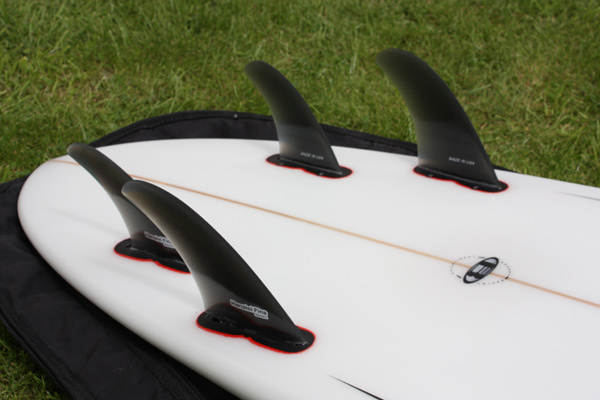 Pocket Rocket : 8' 6" - 8' 9"
2 x 1 fin set up and just like the Dana Point. All the 'old' templates of california, Oz, Hawaii, etc. Big wave guns, shortboards, fishes, twins, quads, single fins. 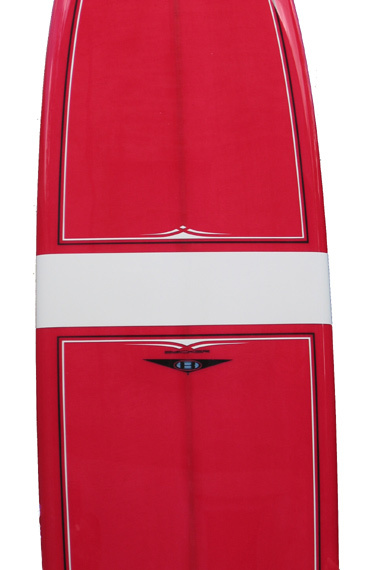 Experience the 70's, 80's feel from a shaper who was doing it then and is still doing it now! The classic all-rounder. Rolled Vee Bottom, square tail. Great noserider. Volan or tints, sprays or triple stringers. 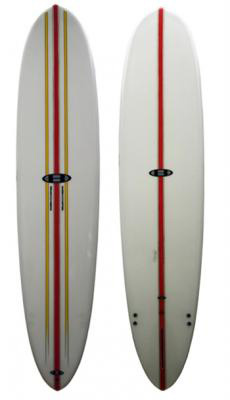 Dana Point Hotdogger : 8' 6" - 8' 9"
Fun Guns : 7' 6"
An easy 'paddle out' board with pulled in nose for punching through waves, available as 3 fin or quad. Set up in pro-coat finish. Polish is extra. 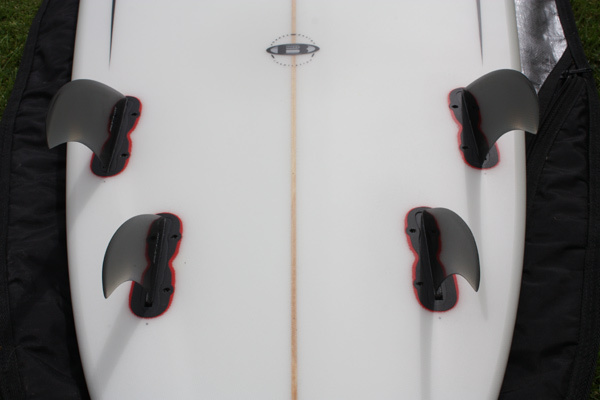 The strongest box available - Takes FCS fins and provides 1/2 forward adjustment. 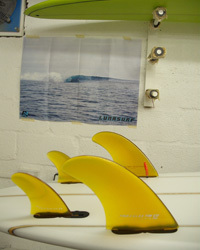 Why not check out our Facebook page for all the latest updates from the Factory re our latest designs and surfboard models.